Eclectic homeschooling involves meshing different educational philosophies and methods into something that works for your family. As a result this will look different from family to family. 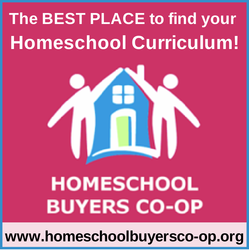 We are featuring a series of interviews with eclectic homeschoolers to show how varied eclectic homeschooling can be. Meet Erin, an eclectic homeschooler/unschooler from the Nourishing My Scholar Blog. As our oldest child, now 8, got closer to school age we began to realize that he wouldn’t do well in a formal school setting. He wanted to give us presentations about the Pliocene, build intricate machines out of Lego’s, and read books like The Call of the Wild. He did not enjoy reading books on the 1st grade reading list, sit still writing something that to him was not at all important. He was also very asynchronous in his learning and development. He had the vocabulary of a scientist but still couldn’t tie his shoes. We have been homeschooling for three years. What ages/grades are you homeschooling? We started out homeschooling our oldest child, but our 3 year old is now interested in everything big brother does. What were your results on the What Kind of Homeschooler Are You Quiz? What makes your homeschool eclectic? Have you always been an eclectic homeschooler? When we first started our homeschool journey I was personally convinced that the Waldorf method was the way to go…unfortunately or fortunately….our son doesn’t learn best with just one method. He needs to be able to go deeper into subjects as it interests him. What do you think makes your homeschool unique? I’m not sure if our homeschool is unique. I do know that as a parent and as a homeschooler you must do what is best for you, your family, and your child….do I think that there is only one way to homeschool? No, not at all. I do think that every child learns differently and at their own pace. What does a typical day or week look like in your homeschool? No day in our homeschool looks like another. We don’t follow a set curriculum. We follow our children’s interests. If you want to see what one of our weeks looks like you can check out our most recent one here- http://www.nourishingmyscholar.com/blog/2016/2/4/a-week-in-the-life-of-unschoolers. What curriculum has worked in your homeschool? None of the curriculums I have tried have worked either long term or at all. Our son is easily bored and that can make things difficult. There are a few things that have stayed somewhat constant in our weeks. Our son loves playing math games like http://www.prodigy.com , dragon box, and math slicer. Both of our children love books so reading is a big part of our days as are audio books. Science experiments are always a big hit in our home too. I have found that what works for our son this week may or may not work for him next month or in 3 months. We try to take our homeschool on a week by week basis. I love reading about your homeschool weeks and latest reading selections and experiments. One of ours is very similar in the asynchronous development you described. He can’t tie his shoes but can read books or an email over my shoulder at age 5!